Dulce de leche is a beautiful, caramel-like spread that you can slather onto bread or use to flavor cakes, cookies, or flan. You can also use it as a drizzle for ice cream, chocolate candies, and pastries. It tastes like heavenly toffee, translates roughly to "milk candy," and is popular all over Latin and South America. A version of the confection is also popular in the Philippines, in Russia, and is known in France as "confiture de lait." The traditional way to make dulce de leche is to slowly heat, simmer, and continuously stir milk and sugar together on the stovetop. Although it sounds fancy, it's insanely easy to make with just one can of sweetened condensed milk. 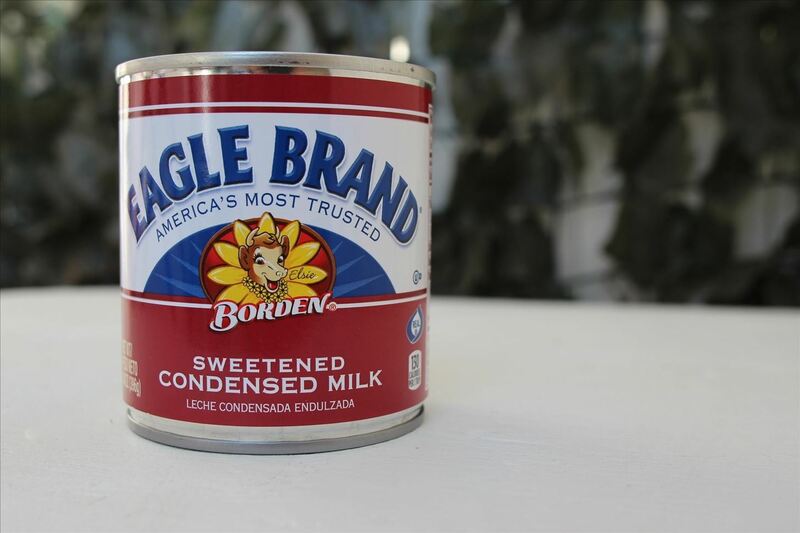 Sweetened condensed milk is made of only two ingredients: milk (from which water has been removed) and sugar. Ergo, it has everything you need to make dulce de leche. And you don't even need to open the can if you don't want to; you can just put the whole can into a pot of simmering water and let it roll for a few hours. 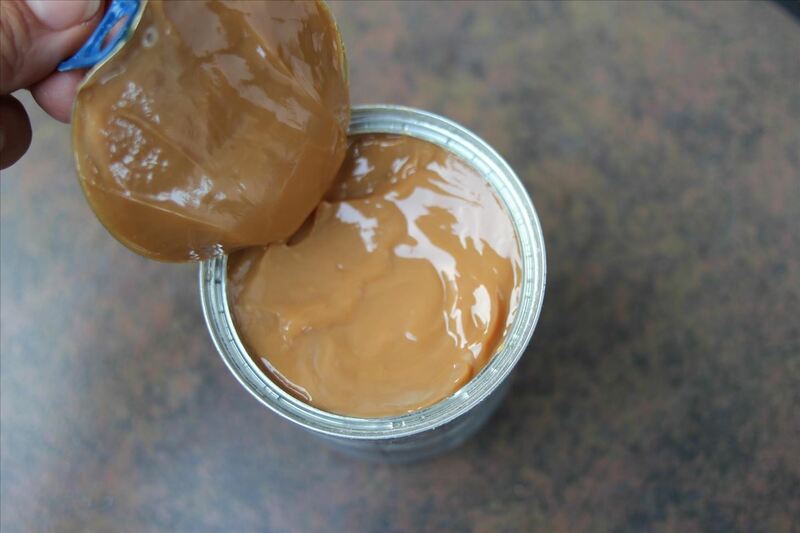 It's amazing to make your first can of dulce de leche using this method. When you pop the lid, you are gifted with brown carmel-colored dulce de leche instead of the creamy white regular sweetened condensed milk. It's almost like magic. But it's not magic, it's Maillard. The Maillard reaction happens when sugar and amino acids are heated together. It causes a delicious browning and is what transforms your bread into toast and gives depth and flavor to your seared steak. In dulce de leche, the milk proteins react with the sugar to create the brown color and the toasty, rich flavor. 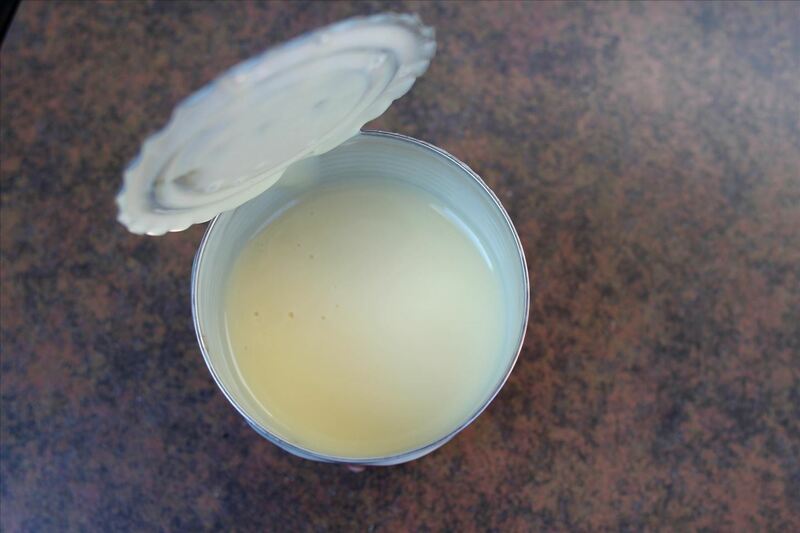 Remove the label from your can of sweetened condensed milk. Gently lower your can into the water using a slotted spoon. Make sure it's on its side so it can roll around in the water, dispersing any water pressure. Simmer for 2 to 3 hours. Two hours and you'll have a runnier texture for drizzling or baking. Three hours gives you a firmer custard-like texture for spreading or eating on its own. Keep adding water as it evaporates. After the allotted time, gently and carefully remove the can from the water. DO NOT OPEN the can while it is hot. Let the can cool off before opening—about an hour. You can also put the can in cool water to help it cool faster. If storing, put in an airtight container for later use. You can spread your dulce de leche on bread, use it as a dipping sauce for apples or pretzels, or use it in desserts like Filipino-style leche flan or Portuguese custard tarts (pasteis de nata). There are stories of people doing this and having their cans explode on them! While it's true that water can get superheated and explode, it's unlikely that will happen to your dulce de leche. This is easily avoidable by taking a couple of precautions. Make sure your can is covered with water at all times. That's it! It's very simple. Because the temperature of boiling water cannot go higher than 212°F (100°C) at sea level, the temperature of the sweetened condensed milk inside the can won't go higher than that either. Tin cans can easily withstand that temperature and internal pressure—for example, aluminum drink cans, which are much thinner and lighter, can withstand 90 pounds of pressure per inch. It's only when the water boils off and the can is exposed that the internal temperature and pressure rises and could cause the explosion. So make sure you keep adding water to the pot to make sure it's covered at all times. 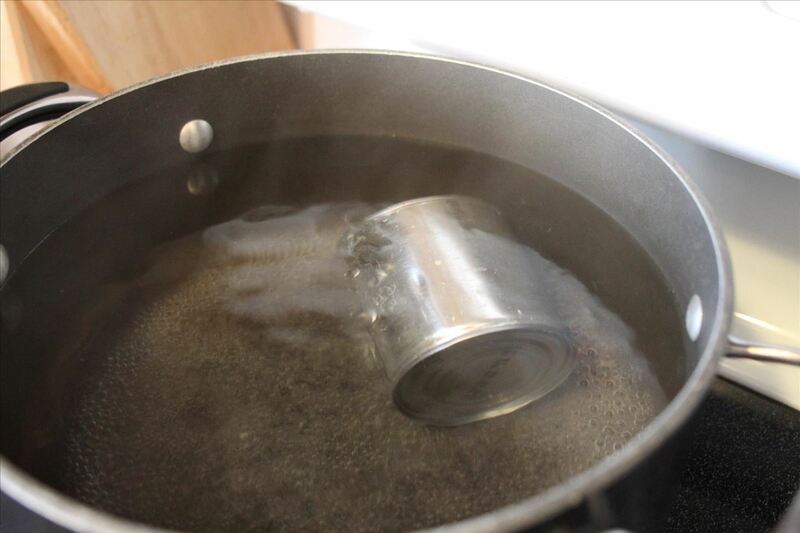 If you want to be extra careful, you can also make a couple holes in the top of the can to relieve potential pressure and boil it standing upright in water with the top of the can exposed. 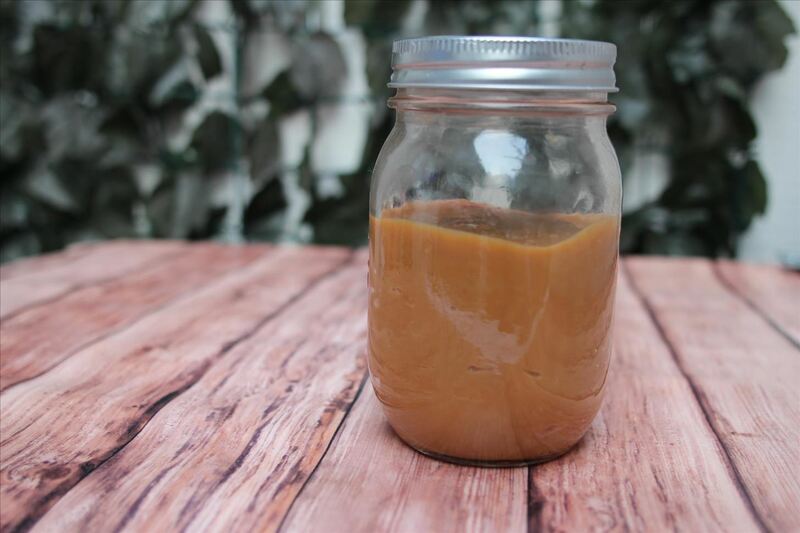 If you are concerned about heating cans because of the risk of BPA leaching, then you can still make dulce de leche by putting the sweetened condensed milk into mason jars before boiling. Screw the mason jar lids on loosely and make sure the water is about an inch below the metal tops. The great thing about this method is that you can see the milk change color as it caramelizes and you can store the dulce de leche directly in the mason jars. If you don't want to watch the pot, then you can also make dulce de leche in your slow cooker using mason jars. 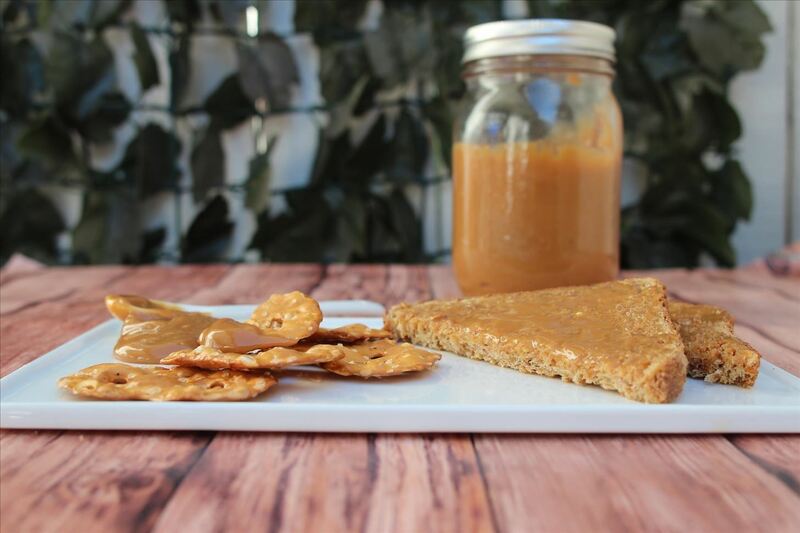 Dorothy from CrazyforCrust gives a good tutorial here, and the good thing is that you can make a few jars of dulce de leche at the same time. It takes about 8 to 10 hours of slow cooker time at the low setting.